After getting seven piercings in my earlobes and one helix piercing, I thought I was done with the whole “decorate my ears” phase. Until my friend Charlotte got a rook piercing. I loved how minimalistic it looked, because it’s quite hidden. She offered to come with me the week after to get one myself. I’m super happy with it and absolutely adore the way it looks! The price obviously depends on where you want to get your ear pierced. Please, make sure you go to a professional piercing shop. They’re not super expensive and they make sure it’s pierced properly. I got my piercing done at Holier Than Thou in Manchester. It was my second time visiting them and absolutely love the place and the people there. Getting the rook piercing costs £20 plus the price of the jewelry. I would also recommend getting the bar instead of a ring when you first get it pierced. The ring moves a lot more than the bar and therefore causes infections much easier. If you really want a ring, just wait for it to heal and then change it afterwards. The morning before getting my ear pierced I made the mistake of watching a lot of YouTube videos about rook piercings. Many of which said that this was one of the most painful piercings you could get in your ear. 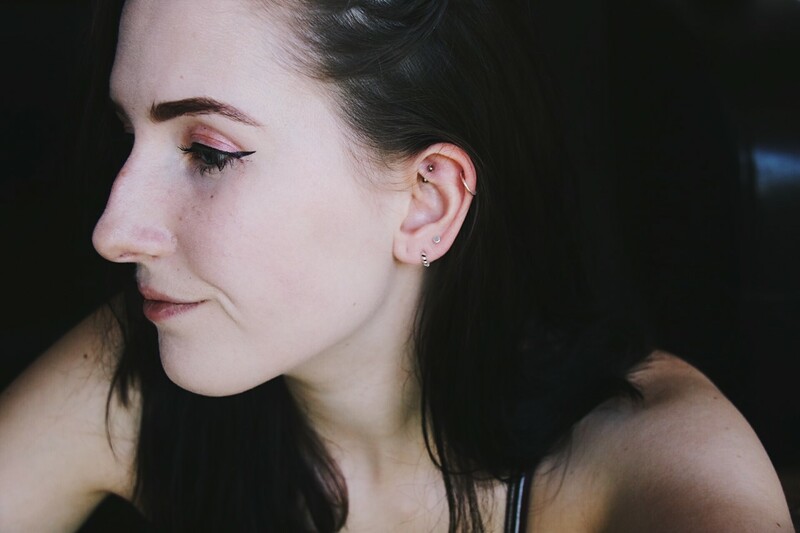 Especially because the cartilage is quite thick where I wanted to get the piercing, I thought these YouTubers must be right. Obviously, this scared me. I am, like most others, not a fan of pain. I decided not to let it scare me and get it done, anyway. In my experience, the pain was not bad at all. Of course, it isn’t painless, but it was nowhere near as bad as others made it out to be. There’s a little sting when the needle is pushed through, but it only lasts for about 2 seconds. After that, there was a little dull pain, which was bearable. I took some ibuprofen anyway and the little pain that remained vanished quickly. On a scale from 1-10, I would say it was about a 3-4. I’ve had period cramps worse than that. Obviously, my earlobes were less painful, but my helix piercing hurt more than this rook piercing. 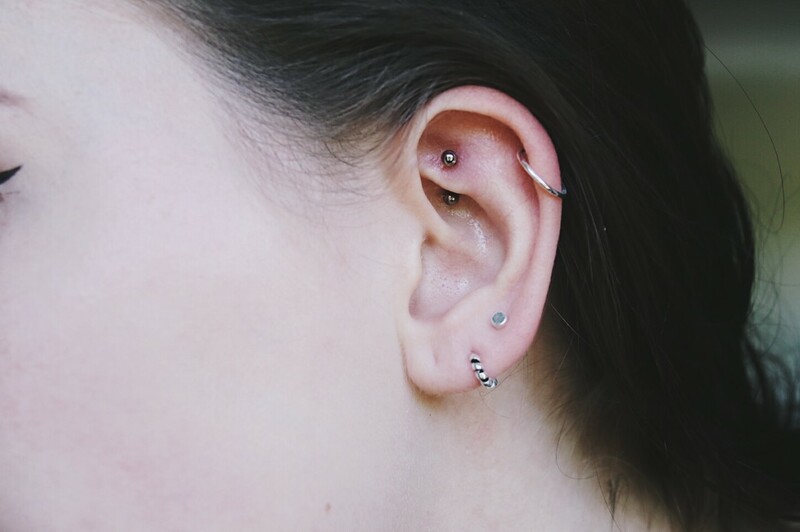 Because the rook piercing is quite hidden inside the ear, it won’t get stuck easily or tangled with your hair. When I had my helix pierced it was constantly hurting because it got stuck or I touched it by accident. 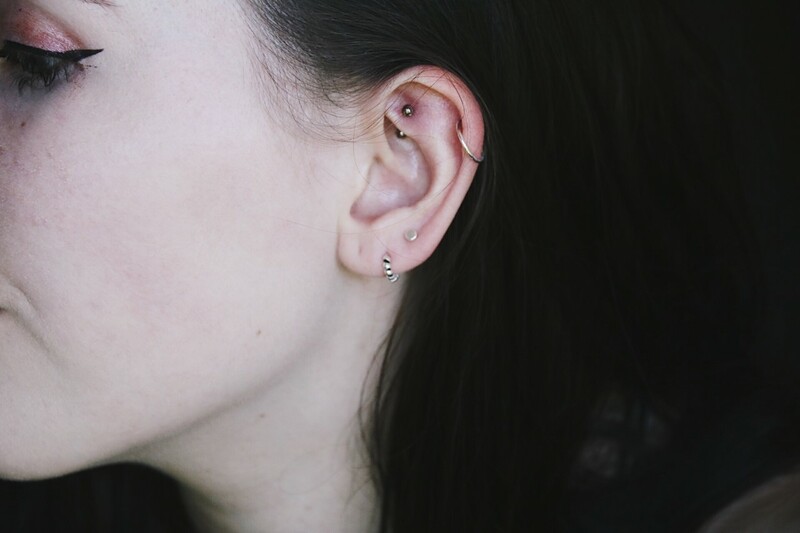 My rook piercing has been healing up perfectly so far. The first night I avoided sleeping on it because the experience I had with my helix piercing taught me not to do it. But after one night, sleeping on it was completely fine – probably because it’s hidden inside the ear. I clean the piercing with hot salty water and a cotton earbud. I simply add sea salt to water from the kettle, let it cool for a minute and dip the cotton earbud in it. Then I clean around the piercing and I’m done. You should try to do this daily! I’ve skipped a few days, but it’s still fine. The main thing that I worried about before getting mine was the pain, but as I said before, the pain was nowhere near as bad as you might think it will be. If you want to get it done, just go for it. It’ll be worth it! It looks super cute! I’m also just noticing your helix piercing and now I want one lol!